NEW LIFE FORM ON EARTH! So last Friday evening, the Big It movie premiered for the 3rd time in Monterey Bay, CA. This time, the premiere was put on for free (thanks to the help of sponsors) by the Surfrider Foundation. Jeb Berrier in Bag It! I saw the film when I volunteered at the Blue Ocean Film Festival a couple months ago, and I wanted to go again because Jeb Berrier- the narrator/star of the film- was going to be there! If you haven’t seen the film- it’s a great eye-opener in terms of how much plastic is involved in our society, and how it negatively effects animals, the environment, and our overall health. Jeb is a guy with a great sense of humor- and you can’t help but love the guy. The movie was even better than the first time I watched it. I swear I want to just sit there and copy down all the facts in that movie because they are astounding. I feel like every school in America needs to show this movie to their students. Jeb was awesome in the Q&A after the film. Although a lot of people asked him questions he couldn’t even answer…in that I mean people asked him why the Carmel Valley trashcans changed the type of trashcan?? How would Jeb know that?! Haha it was silly. I was really appreciative that he came to Monterey though and spoke to us 🙂 Thanks Jeb! So my goal for you is to stop taking plastic bags when stores give them to you. 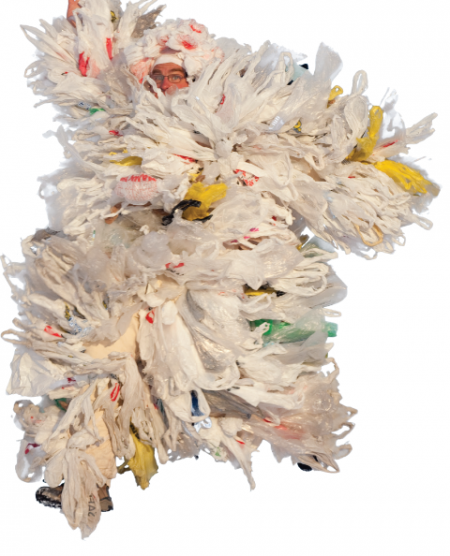 Bring your own bag- sign petitions to ban plastic bags (CONGRATS LOS ANGELES! !-who just banned single-use plastic bags)- and just don’t buy stuff you don’t need. Reduce-Reuse-Recycle. The hardest thing to remember is to put those bags in the car after you unpack them at home. It has to be done immediately, so it becomes a habit. I have noticed that almost every store has recycled bags now and sells the reusable ones.